Push notification is one of the best marketing tools for ecommerce. Every store owner wants to boost the sale and revenue. 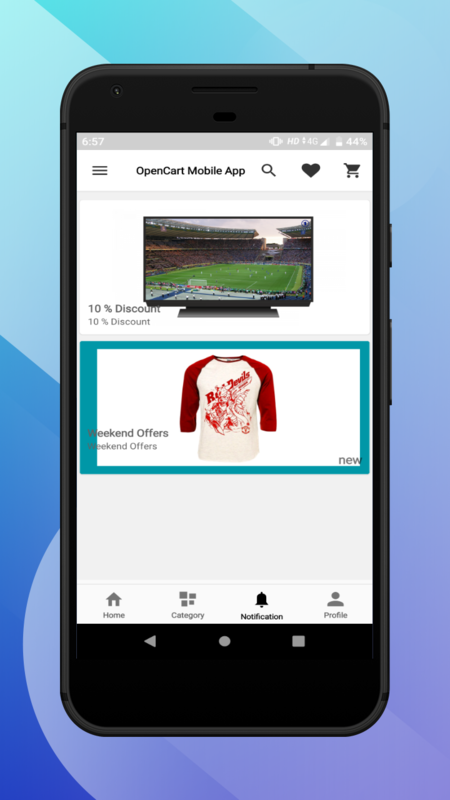 Push notification is the way to keep the customers engaged with the offers, sales, price drop and with other activities that help the store owner to generate the sale and revenue at large scale. Well, push notification also helps the customer to buy the products through the mobile application on the go as some time push notification works like a reminder for the user. Download OpenCart Mobile App For iPhone users. Download OpenCart Mobile App For Android users. “Using the OpenCart Mobile App the store owner can send the push notification from the admin panel. To learn how to send the OpenCart mobile app push notification to the mobile users using the admin panel, click here“. From the notification bar– The customer can scroll down the notification bar to see the received push notification on the mobile screen. The customer can click on the received push notification which will redirect the user to that particular notification link. In-app notification– The customer can also see the notification from the app itself. The customer can see the notification details in the Notification icon at the bottom of the app as a bell icon. 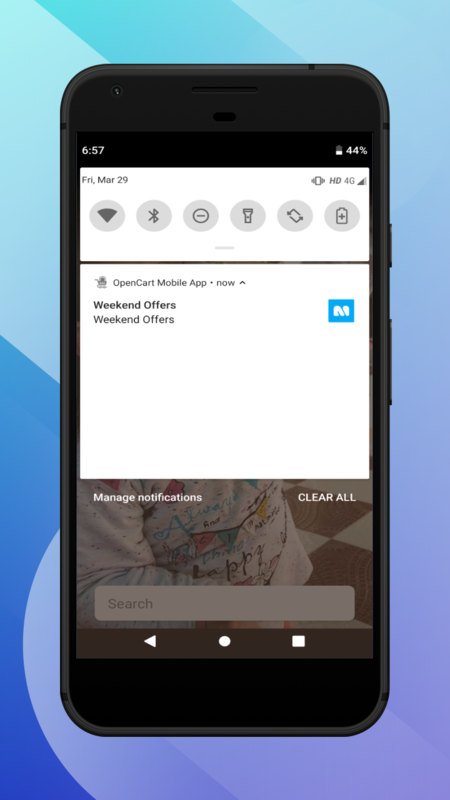 That’s all for OpenCart mobile app push notification. Still, have any issue feel free to add a ticket here – webkul.uvdesk.com and let us know your views to make the app better.